Applying a modern twist to the classic fairy tale, the 2010 KBS drama Cinderella's Sister follows the contentious relationship between two stepsisters as their lives and loves intertwine. Tamra the Island heroine Seo Woo is the "Cinderella", a bubbly spoiled princess who seems to be adored by all, but she can't win over her steely sister or the man they both love. Korea's little sister Moon Geun Young delivers a compelling performance as the older "evil" stepsister, a wary young woman forced to grow up fast because of her manipulative mother (Lee Mi Sook). Chun Jeong Myung, making his post-army comeback, and 2PM's Ok Taec Yeon, making his acting debut, co-star in the highly anticipated drama. 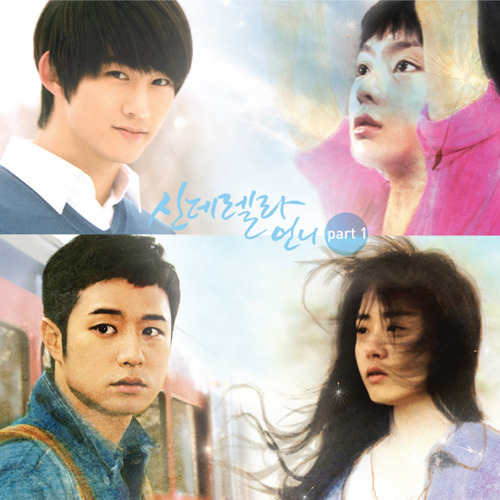 Super Junior's Ye Sung sings the drama's haunting theme "It Has to Be You", a heartfelt love song with melancholic lyrics. His labelmates Luna and Krystal of f(x) display their strong vocals in the insert ballad "Calling Out". Led by the music director of I'm Sorry, I Love You, the Cinderella's Sister soundtrack also features songs from JM, Lee Yoon Jong, and Pink Tonic.